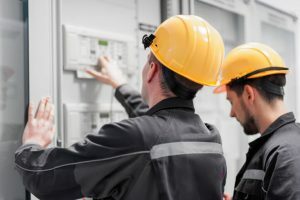 Preventive maintenance is essential for optimizing the performance and maximizing the lifespan of the equipment in any manufacturing or plant environment. Without timely service, your machinery can break down unexpectedly, leading to costly interruptions in production runs and expensive equipment repair bills. Tuckey Metal Fabricators, Inc. offers an assortment of cost-effective facility maintenance programs to companies in Central PA that can keep your plant’s machinery in peak operating condition at all times, as well as expert repair work when needed. We will work closely with you and your staff to develop a customized maintenance program that makes sense for your business operation. We’ll take into consideration factors such as usage, operating environment and the machine manufacturer’s recommendations and set up a service call schedule that meets your requirements. You’ll have the peace of mind that comes from knowing that you’re doing everything possible to maximize the reliability and longevity of your mission-critical machinery. Even a well-maintained machine can break down on occasion. 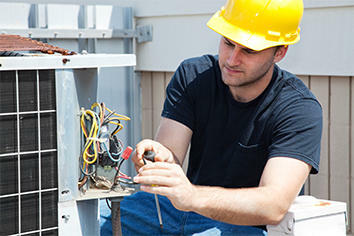 Our capable field staff is available 24/7 to provide a rapid response to a repair emergency. We’ll do whatever it takes to get your equipment back on the job. Contact us to learn more about setting up your custom program today. 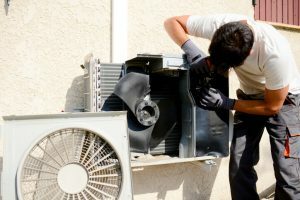 Visit our blog or contact us directly for questions about home maintenance, mechanical systems, commercial services, and more! "Dave W. was excellent. He was able to diagnose the problem quickly, show me how to do routine preventative maintenance, and he wanted to rule out other possible problems. He was great at giving explanations and understanding of our needs. I highly recommend Tuckey Mechanical Services, Inc. for routine services or emergencies. Dave really was able to provide peace of mind for me and my family. Thanks."